Slate and flint stone with flavours of lemon and spicy herbs, juicy and intense on palate, mouth filling and complex; suitable to match richer dishes. 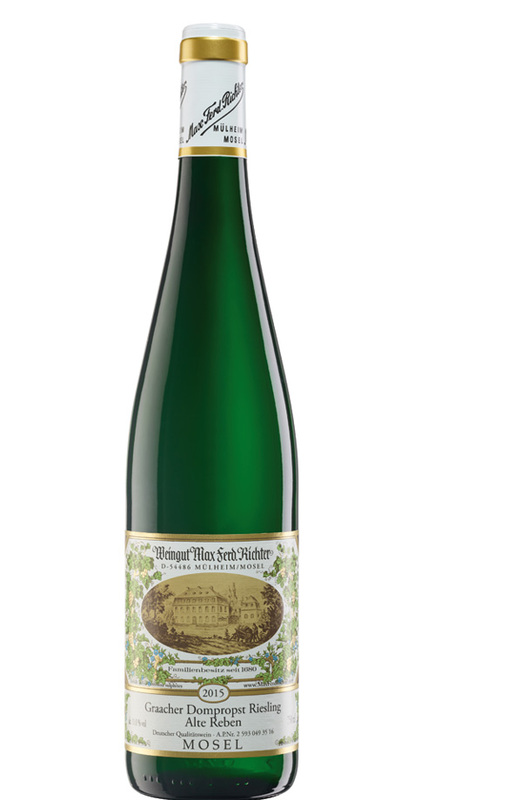 Delicate and stylish Kabinett, with nuances of lime, white peach and spicy minerals; a rounded taste somewhat feminine, lively acid. Aromatics of berries such as balckberry, blueberry, cranberry, red crrant and hints of ripe prune. Rich and juicy on palate with opulent and minerally structure. Finishs dry. Produced from the oldest vines in the Dompropst vineyard. „Grosses Gewächs“ (Grand Cru – corresponds to a dry Auslese) from the best and steepest part in the Juffer – Sonnenuhr vineyard: the „Falkenberg“. Brown and blue slate soil reflect the characteristrics of that precious terroir. Ripe, red vineyard peach, quince and apricot are paired with spicy flavours and ferruginous slate stone minerals. Elegant and very refined, yet with intense length and long lasting finish.